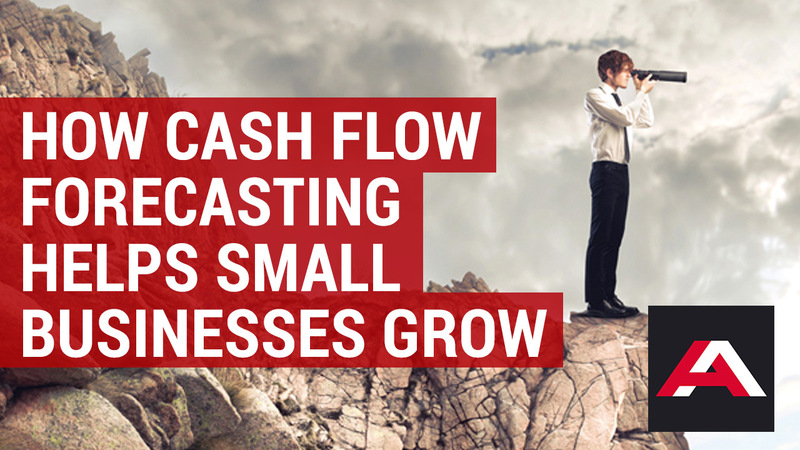 Excellent cash flow forecasting is the key to the success and growth of any small business. Not only does it enable a clear view of incomings and outgoings from the year before, but you’ll be well prepared for the financial year ahead, taking in your stride any pitfalls along the way. It’s cash flow forecasting that will allow your business to stay afloat and identify areas where you can invest and improve, while creating breathing space when any unforeseen problems occur. So, when putting together a forecast, you should always analyse the movements of the past year to give you an idea of flow into and out of the business. And remember to make note of the timing of these movements – that way you will see peaks and troughs in incomings and outgoings, due to seasonal industry trends and other factors. Online accounting systems such as Xero can make the cash flow forecasting much easier for small businesses, as they link directly to your online bank account and store any information safely on the Cloud, which can be accessed from different devices. When using Xero to build a cashflow forecast on the past 12 months’ data for your organisation, you’ll need to generate the cash summary report first, then export it to Microsoft Excel. At this point you’re ready to forecast your monthly cash spend for the next year. The figures will be based on averages, which can be easily customised to make aspects of business life even easier and allow you to make informed decisions about future plans. It’s also useful for being able to see all the money in the business, where it came from and how it has been spent, by splitting it into categories such as operating, investing and financing. To analyse cash flow you’ll need to address your business’ working capital (the money needed to keep the business going). This can be achieved by identifying current assets minus any deductions due during the upcoming accounting period. You’ll also get a picture of the liquidity of the business in the next 12 months and determine whether or not you will need to develop a cashflow budget for the coming year. Xero has a series of useful add-ons, such as the cash flow management system Float, which will pull in all your data to automatically generate cash flow forecasts and help control cash moving in and out of your business. Another useful add-on is one which takes care of one of the biggest problems for small businesses – invoices not being paid on time. Unpaid invoices can have a detrimental effect on cashflow and a business’ future, but by using an add-on such as Chaser (Xerocon 2016 Add-On Partner of the Year) you can automate invoice chasing to help overcome the problem of late payments. By using an online accounting system such as Xero and the plethora of useful add-ons, small business owners can analyse and interpret the results and put into action anything which becomes apparent or necessary for future success. Working closely with your small business accountant will also help you to learn the art of cash flow forecasting and get sound advice on what accounting to do to help you grow your small business. By working with a proactive accountant you will be able to customise your cash flow forecast to get the information that is right for your business, track and compare trends and make informed predictions regarding investments and improvements. For more information about how we can help your business email Jon or Matt now for a friendly, helpful and informative chat.